When it comes to property maintenance, one area that demands care and upkeep is the lawn. 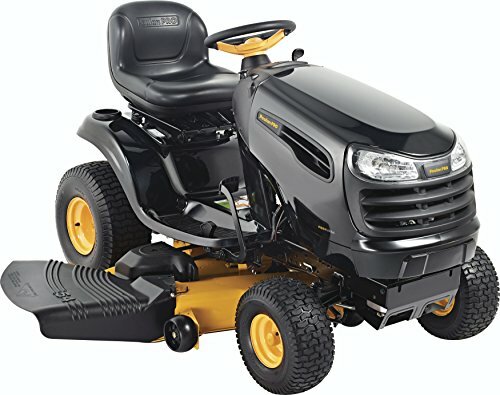 Whether your goal is to have a well-manicured lawn and a beautiful garden to entertain friends or a spruced up your property’s curb appeal before you put it up for sale, your best investment would be getting the best garden tractor you can get your hands on. Of course, you can opt to hire landscapers to do the work for you but why pay when you can do it yourself? If you have the best garden tractor, keeping your garden beautiful and maintaining the grass in your lawn can be done in a jiffy and any time you want. On the other hand, if you are looking at gardening and landscaping as a profession, investing in garden tractor should be on top of your list. Garden tractors come in different sizes as well as models and given a plethora of units to choose from, arriving with a decision can be challenging. Aspects to consider include the price, bin, type, transmission, features and accessories. But if you know what you are looking for and have an idea about the different tractors offered by manufacturers, you increase your chances of spending your money on the best garden tractor specific for your needs. If you are looking for a compact yet powerful partner for your garden maintenance needs, this easy to manuever model is worth checking out. 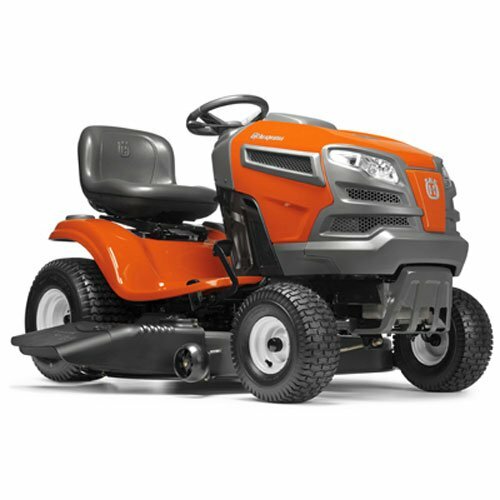 A product of Husqvarna, this particular model boasts of hydrostatic transmission which makes it running smoothly in both forward and reverse gears, making it deserving to be called the best garden tractor sold by retailers. It weighs 440 pounds with a dimension of 69.2 x 56.7 x 41.4 inches. Moreover, it has an adjustable seat to accommodate different body built as well as adjustable cutting height to ensure cutting time is minimized and work is done properly. At the rear of the tractor, there is a hitch which the user can use for towing. As for the engine, it is a 22 horse-power twin engine, powerful enough to cover large areas and climb hilly slopes. It also has the ability to cut in reverse, making it easier to work with. Its tires have great traction and the smaller tires in front contribute to its small turning radius. People who have used this tractor are amazed with its power and consider it the best garden tractor of its kind. Issues raised by other users include the absence of mulching blades and the price. Another is its low factory deck height which can be a concern for some users. Accessories are available, though and the price is on the same range with other garden tractors in the market. As for the deck height, it is adjustable so it does not really pose to be a problem.
. Great for husbands who want to enjoy a bottle of cold beer while taking a break from garden mowing duties. 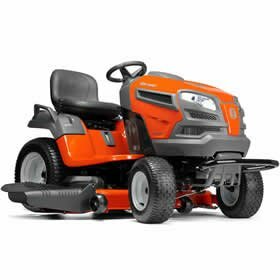 Generally, for its price and specifications, this can be the best garden tractor for individuals who are looking for affordability. A con for this model can be the fact that Poulan Pro stopped production of this type. However, buyers need not worry because parts and after sales service are still available. And with customer reviews saying buying this tractor is worth their money and time, then this model can still be considered the best garden tractor one can invest in. Are you looking for a more powerful garden tractor and willing to spend for the best garden tractor perfect for your garden needs? Perhaps you might want to consider another unit from Poulan Pro. 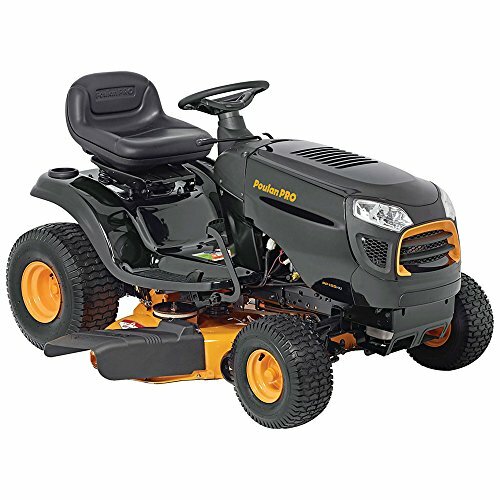 Unlike the previous garden companion reviewed previously, this one is equipped with a more powerful engine, 24 horse-power and able to go through hilly parts of the garden and cover a larger area. 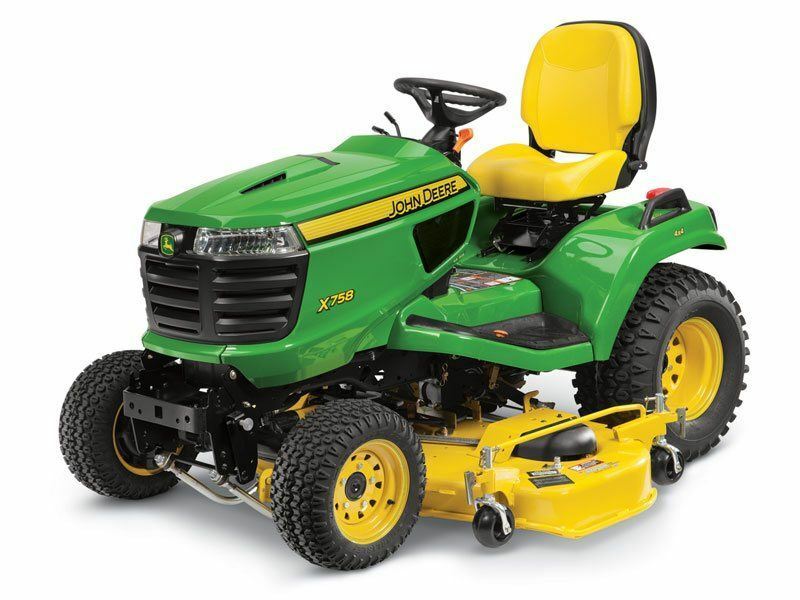 It also has a 54-inch cutting capacity which cuts done grass-cutting time. It also has a more comfortable seat because of the improved 15” seat height. Gas tank capacity is 2.5 gallons, allowing you to work continuously without having to worry about refuelling in the middle of your activity also has an armrest not found in other models and users find it easy to drive and control. More importantly, it has headlights, making it possible for you to finish your task even when it is already a bit dark. No reason for you to continue the following day. One observation of those who have bought this model is the absence of a gasoline gauge, making it hard for them to keep track of the fuel. But overall, this robust model is suitable to be called the best garden tractor in a competitive price range. Another model from Husqvarna which is comparable to the one sold by Poulan Pro is this light garden tractor which was introduced after the production of the LGT2654 26HP Yard Tractor was discontinued. It also has a hydrostatic transmission with an adjustable lever as well as a fender-mounted cutting height adjustment. Other features include headlights for improved visibility even at night. Speed is variable and there is no need for assembly as opposed to other tractor models. What online reviewers find appealing is the land area it can cover, reaching up to 5 acres without damaging the belt nor resulting to interruptions despite having to hit obstructions. Traction is also tight because of the wide tires. With a cutting width of 54 inches, it cuts grass faster. An additional treat for the owner is the front bumper guard that makes it tougher on bumpy and rough soil. There are also three blades instead of the two in other types. It also has an ergonomic steering wheel for a more comfortable and easier manoeuvring. If these features are what you think make the best garden tractor, this is a great find. Just like any other product sold in the market, there will always be setbacks observed by customers. As for this particular model, one complaint is the noise it makes. With the use of ear plugs, though, this can be solved. There are also those who do not like the level being mounted on the fender because they have to let go of one hand from the steering wheel to shift the level. They find it bothersome to drive with only one hand. Finding the best garden tractor requires careful consideration since there are many great models with similarities in features and performance. Differences can be distinguished in pricing, manufacturer and warranties. Of course, it helps to have a comparison and you can start here.